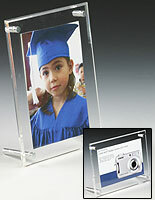 This acrylic photo frame incorporates two 1/8" thick clear acrylic panels. 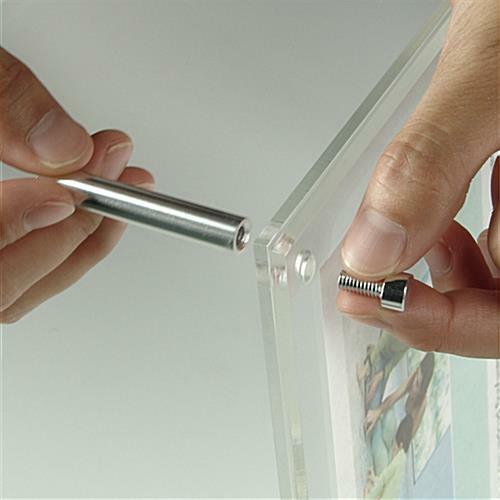 Four nickel plated binding screws hold the two paneling together to trap the graphic or sign tightly in the center position of the picture holder. 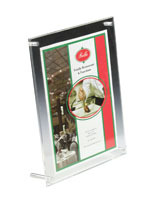 A picture frame for businesses and homes, also recognized as a countertop signage holder, can be utilized in either a portrait or landscape orientation by amending the position of the supporting screws. 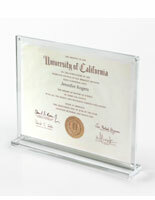 Each picture holder features a neat and sleek look that will attract clients to the signs. 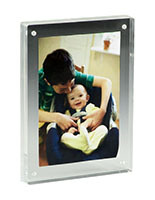 Every frame clear has polished edges for a contemporary appearance. and assures focus on the pictures. 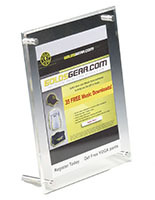 8.5" x 11" prints fit into the countertop signage holder, so users can advertise with a standard piece of printer paper when starting a marketing campaign. 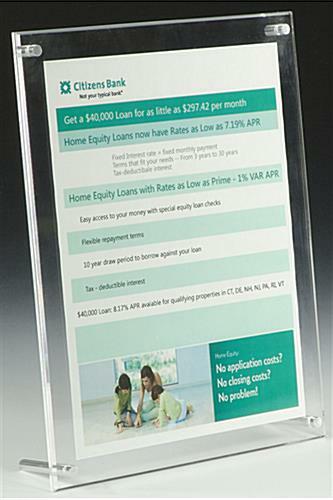 Acrylic Sign Holder Works Very Well! 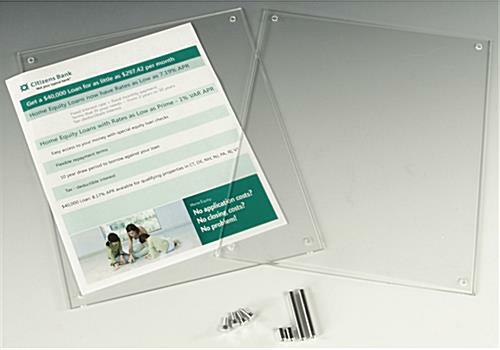 I purchased two of the 8.5 x 11 acrylic sign holders for our company's conference rooms, so that we could display meeting guidelines. 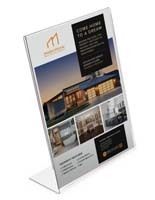 The sign holders worked so well for us that I ended up purchasing two more for another one of our facilities. 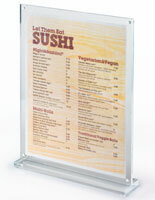 The sign holders are of heavy-duty acrylic material, with screw-in posts to be used for a stand. 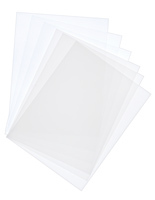 This product has worked very well for our purposes, and they look great in the conference rooms! Thanks for the feedback, Karen! We appreciate your input and hope to hear from you again.